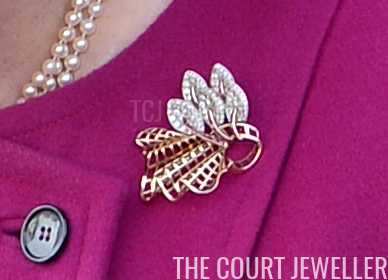 Queen Elizabeth II's jewelry box is full of pieces that have stood the test of time -- including today's spotlighted piece, her Golden Trellis Brooch. 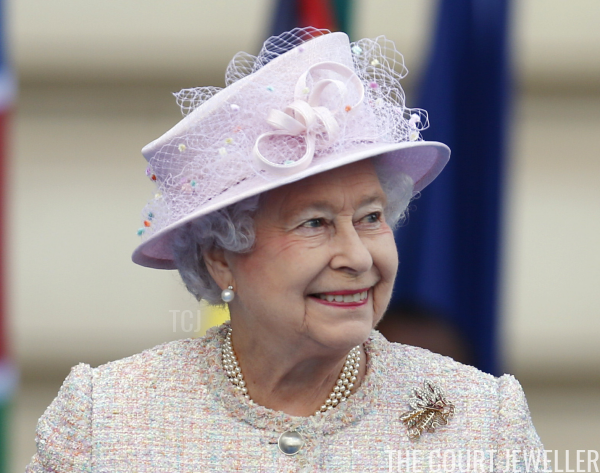 The brooch, which features a quintet of diamond and ruby leaves attached to a waving, net-like golden trellis, was one of the wedding gifts presented to the then-Princess Elizabeth in 1947. She has been wearing the brooch regularly since receiving it. In May 1948, she chose the brooch for a boat ride on the Seine during her visit to Paris. 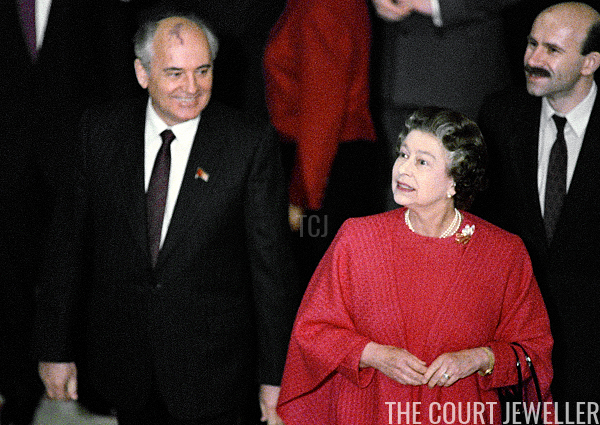 In April 1989, the Queen paired the brooch with a red ensemble during Mikhail Gorbachev's official visit to Windsor Castle. 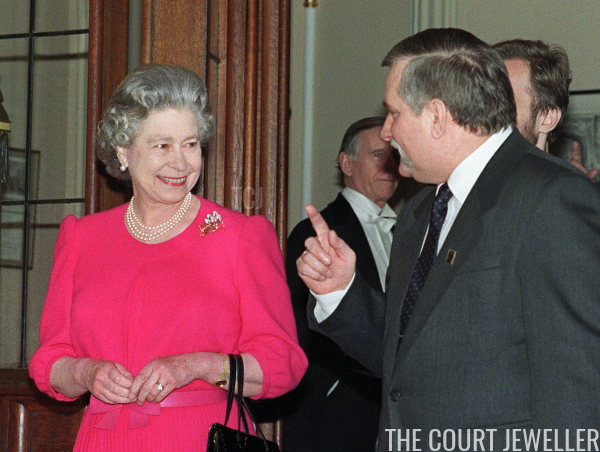 Two years later, she emphasized the brooch's subtle ruby details by wearing it with vibrant pink to host Lech Walesa at Windsor Castle for his 1991 state visit to Britain. 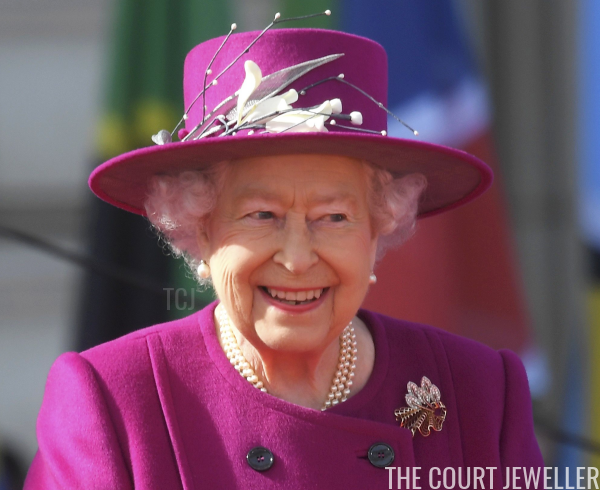 In recent years, the Queen has still frequently chosen the brooch for various occasions. 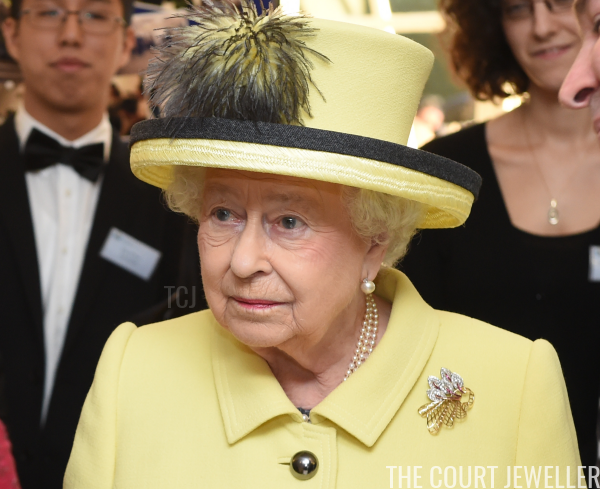 In December 2016, she paired the brooch with a buttery yellow outfit for a visit to Goodenough College in London. 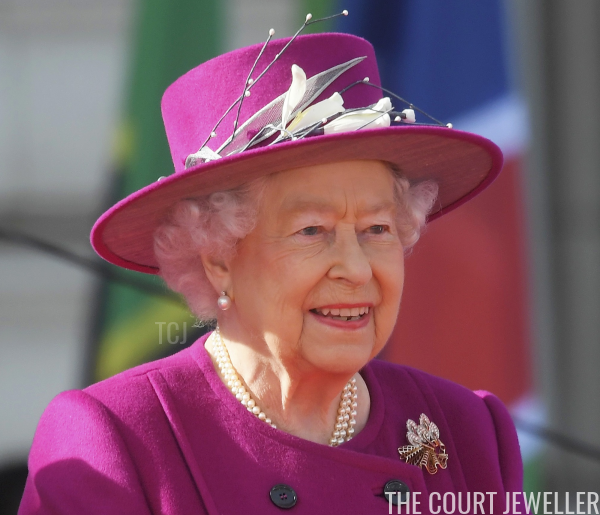 ...and for the March 2017 launch, held ahead of the 2018 Gold Coast Games, she wore the brooch with vibrant violet. 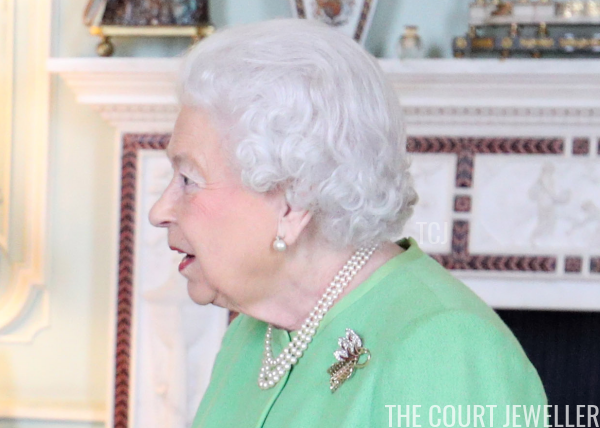 Your best bet for spotting the trellis brooch, however, is in photographs from audiences at Buckingham Palace. She often chooses the piece for such occasions, including this audience with the Lieutenant Governor of Prince Edward Island in March 2018.